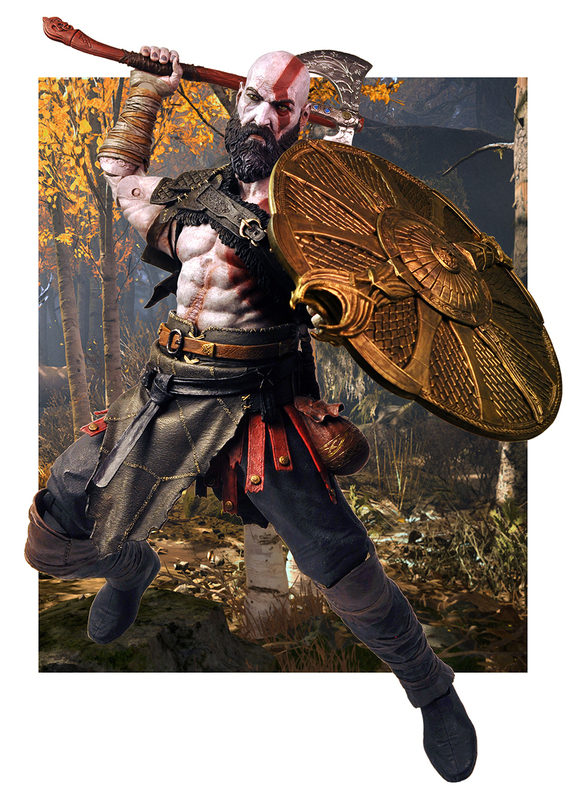 From Sony’s upcoming God of War video game! 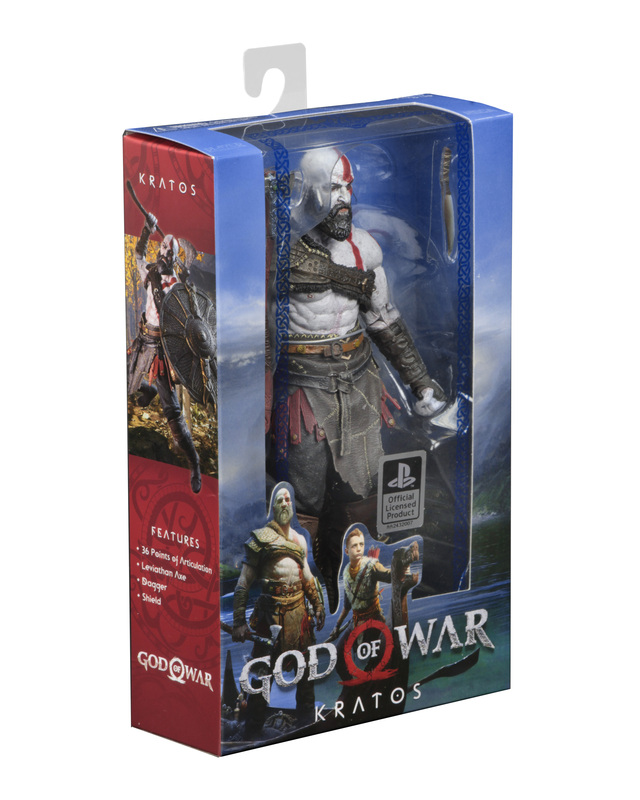 After a decade of bestselling God of War games, it is a new beginning for Kratos. 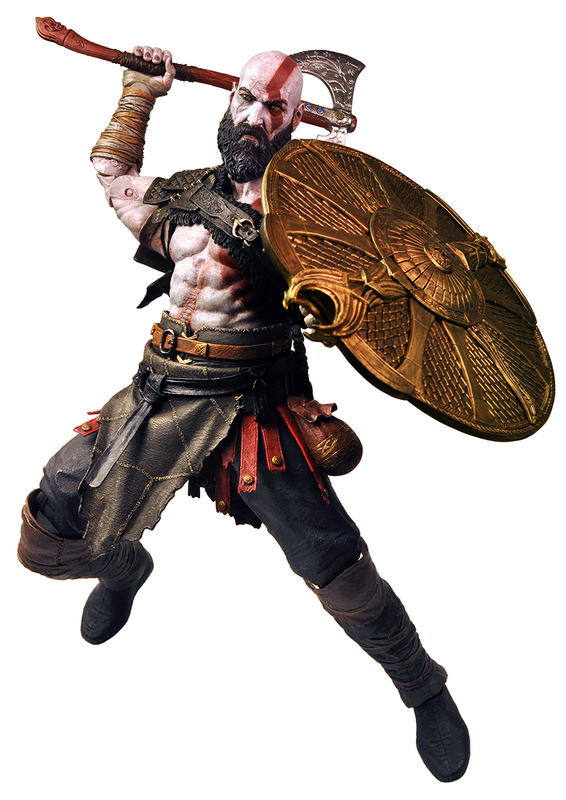 His vengeance against the gods of Olympus far behind him, Kratos now lives as a man in the lands of Norse Gods and monsters. 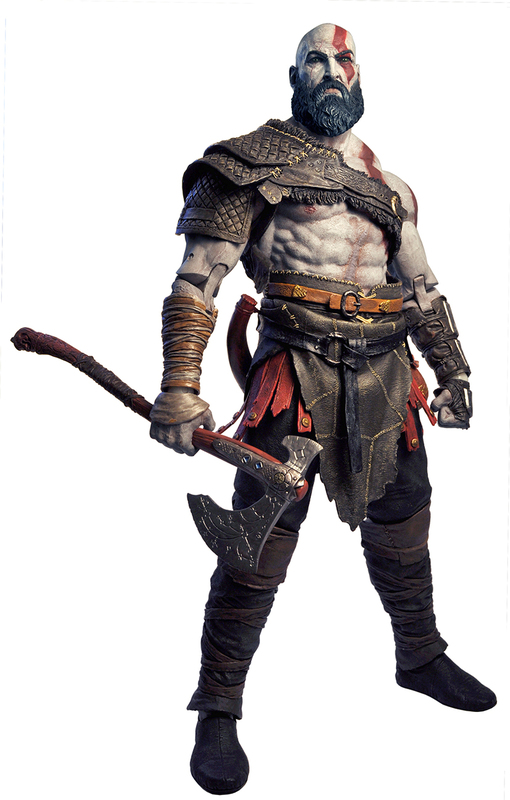 It is in this harsh, unforgiving world that he must fight to survive – and teach his son to do the same. 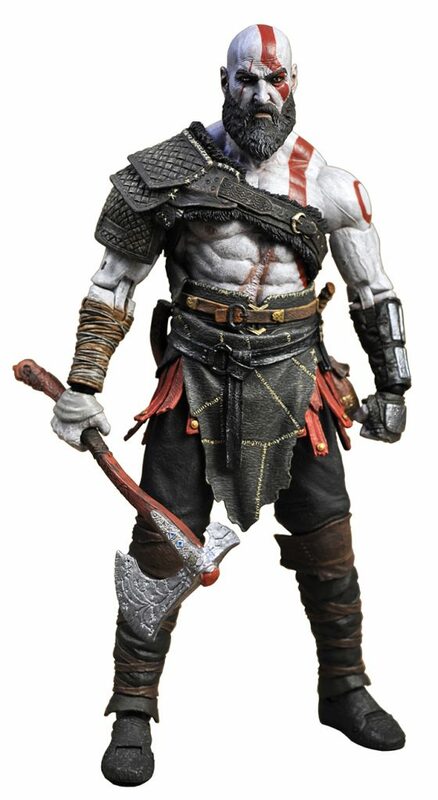 This 7” scale action figure features 36 points of articulation and an incredibly detailed sculpt. 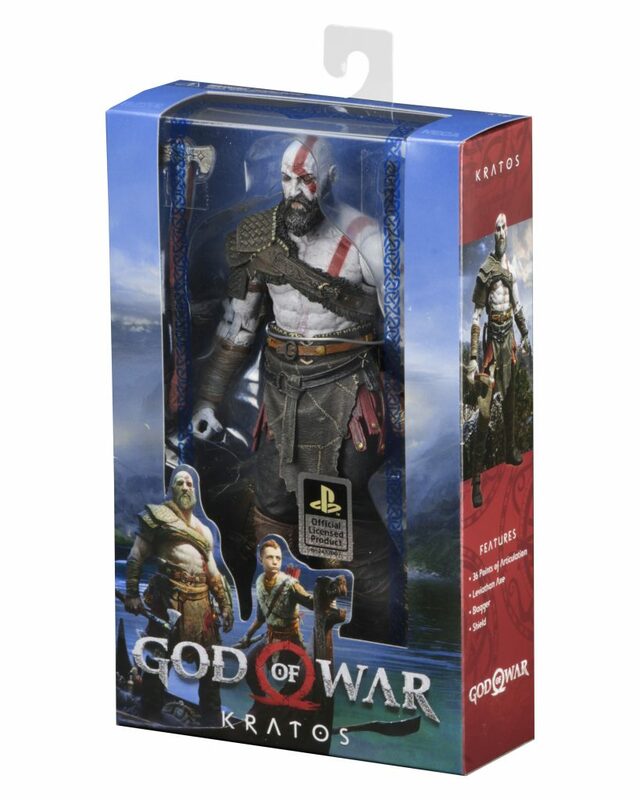 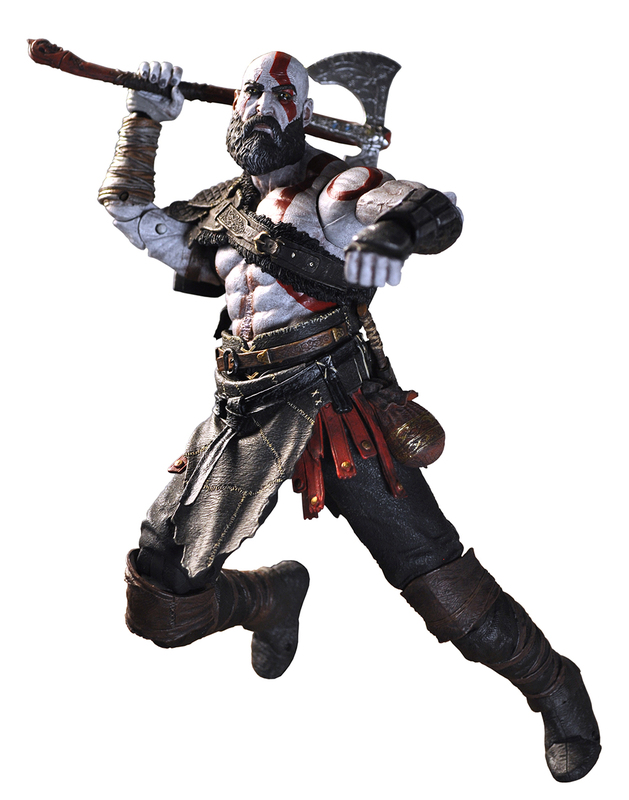 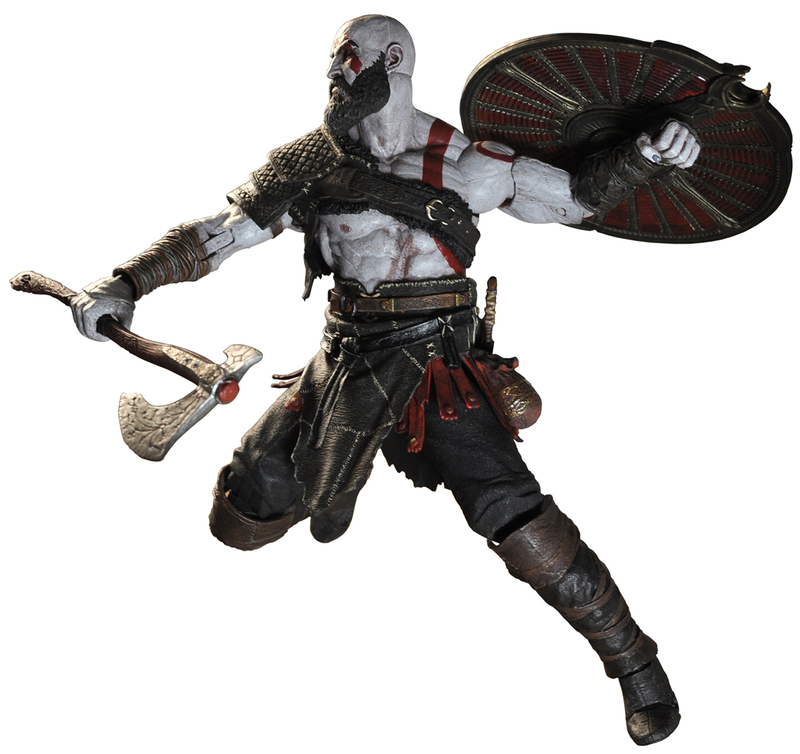 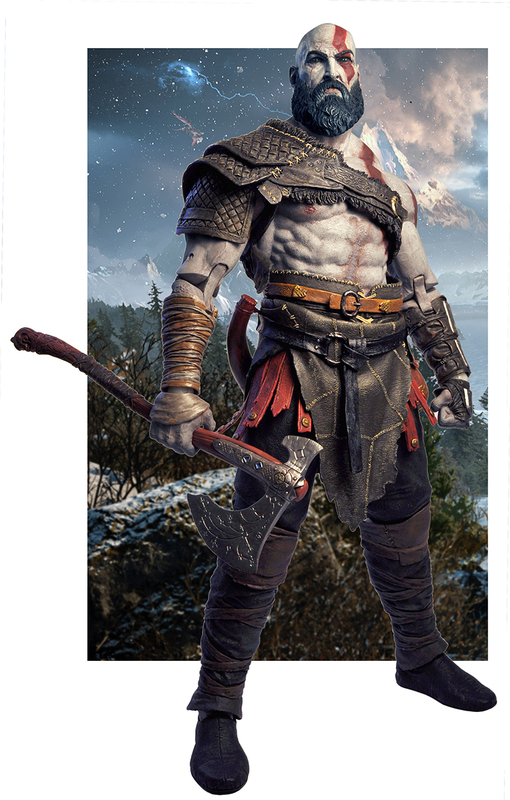 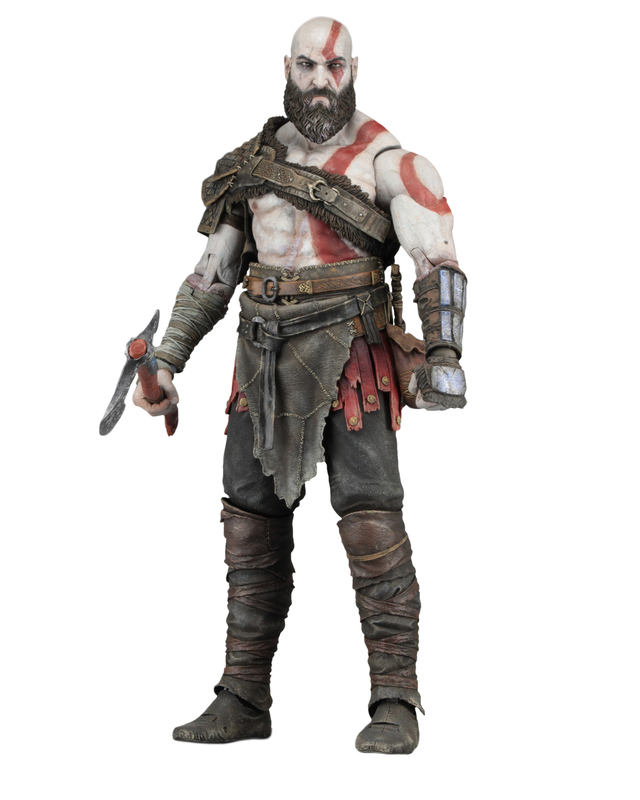 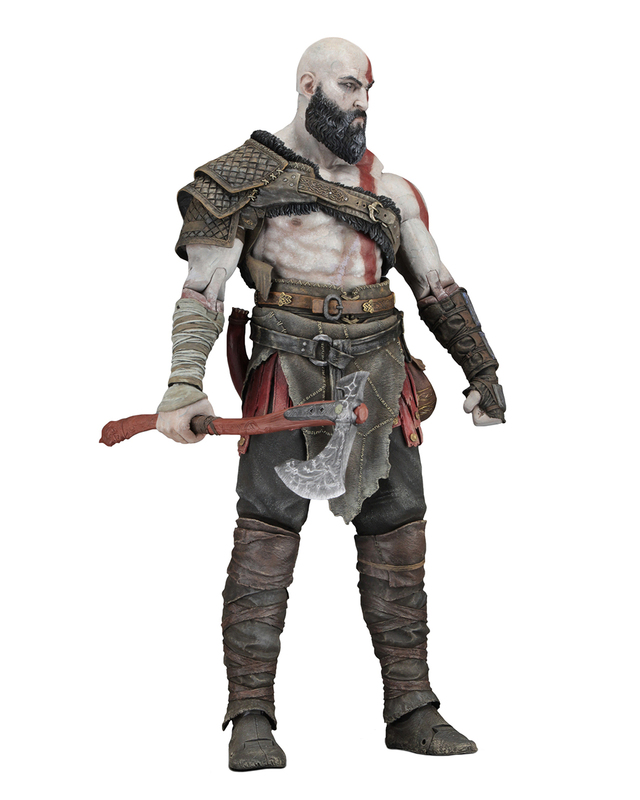 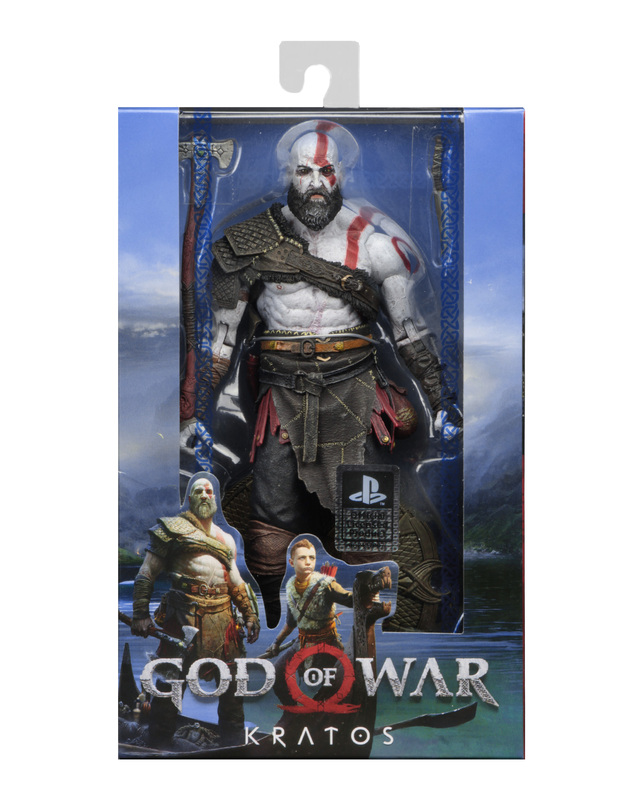 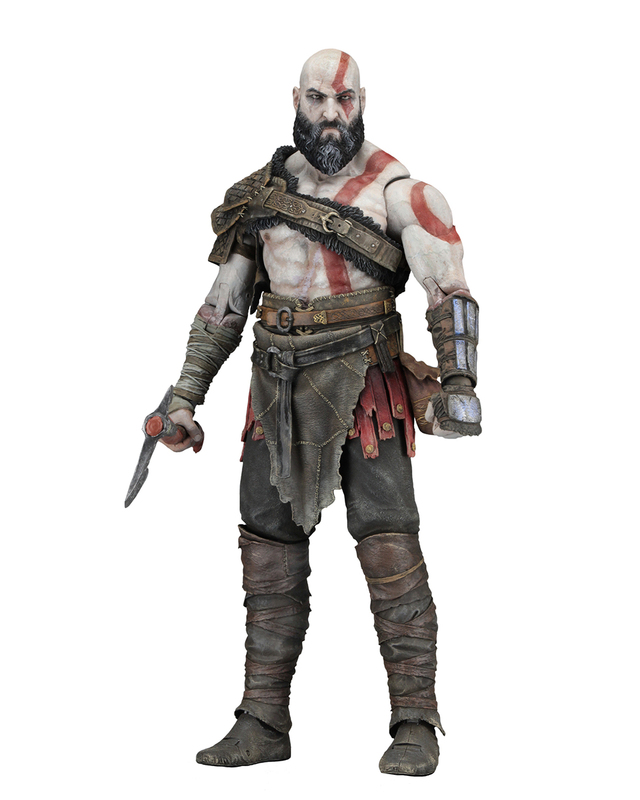 Kratos comes with Leviathan Axe, dagger and shield accessories. 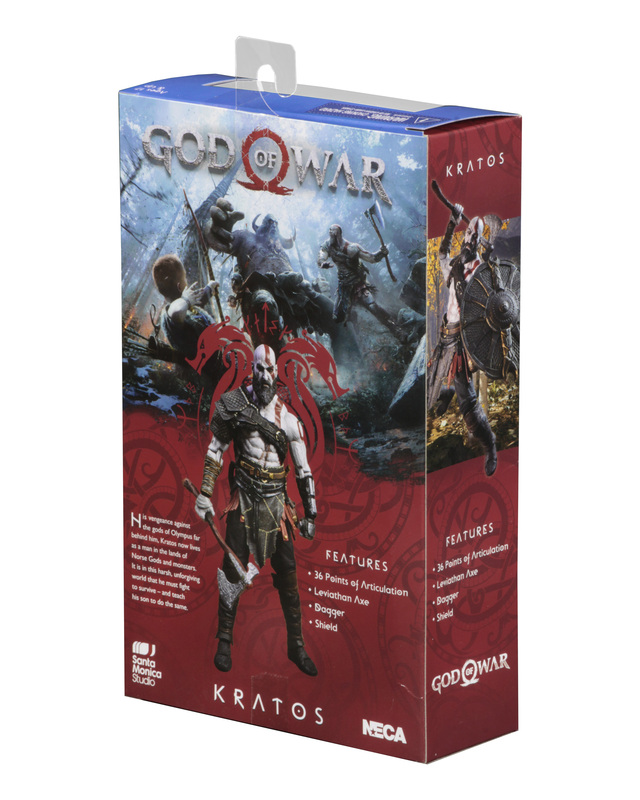 Window box packaging.